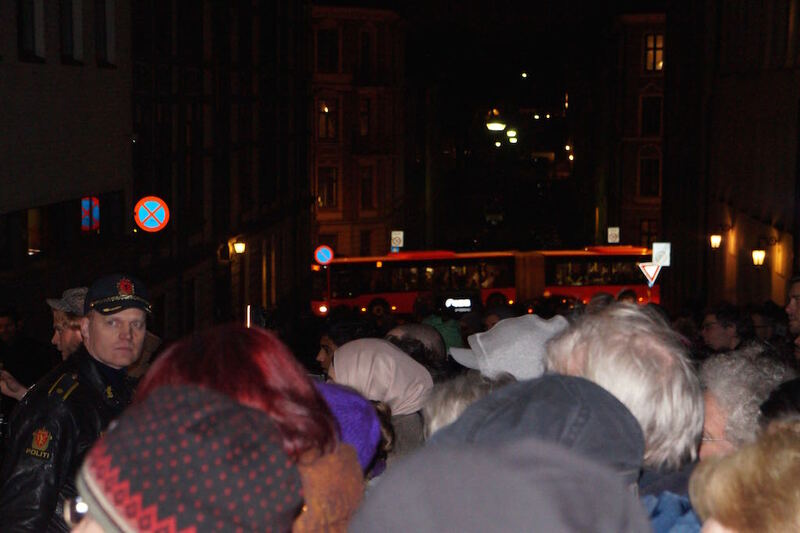 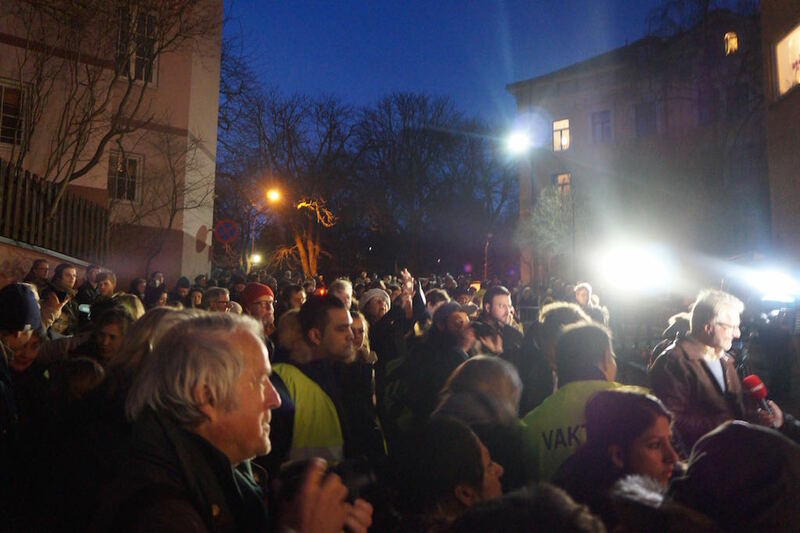 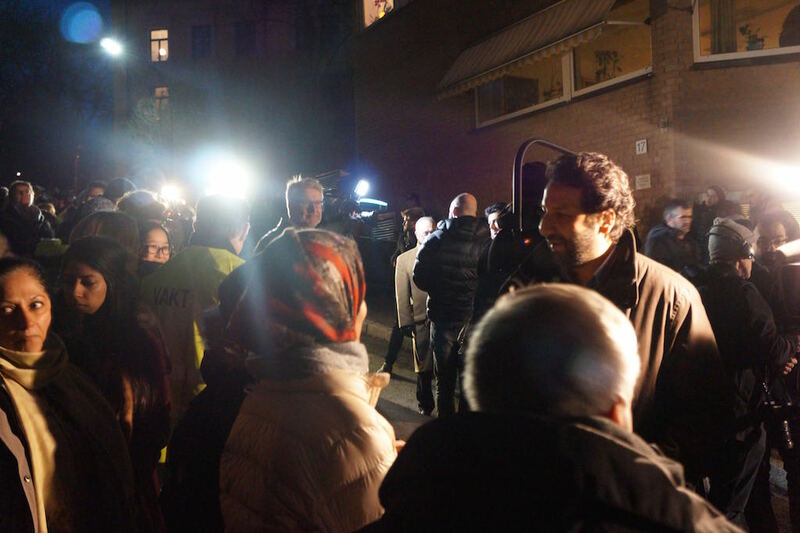 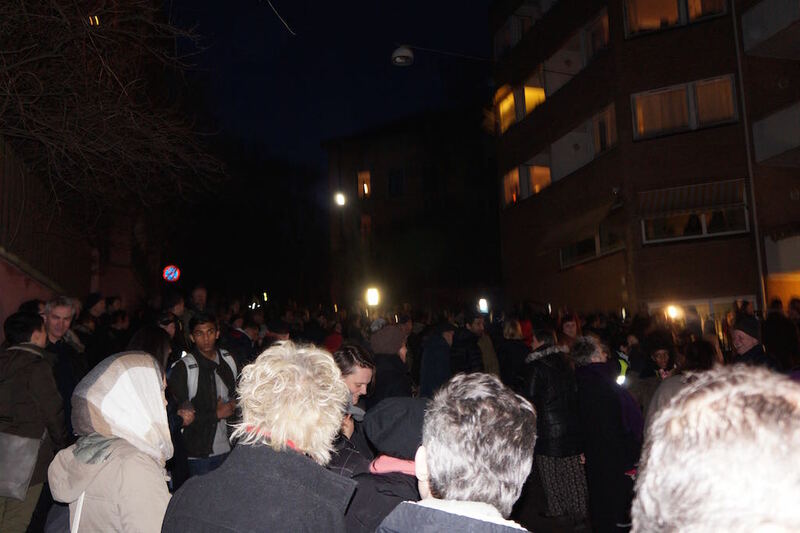 Distrita did a happy but important article about an important demonstrations held by muslims in Norway, that was held in Oslo February this year. 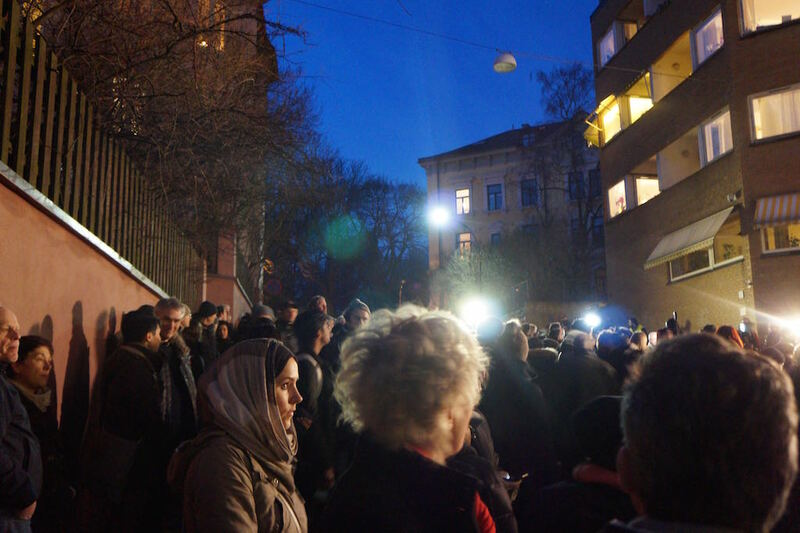 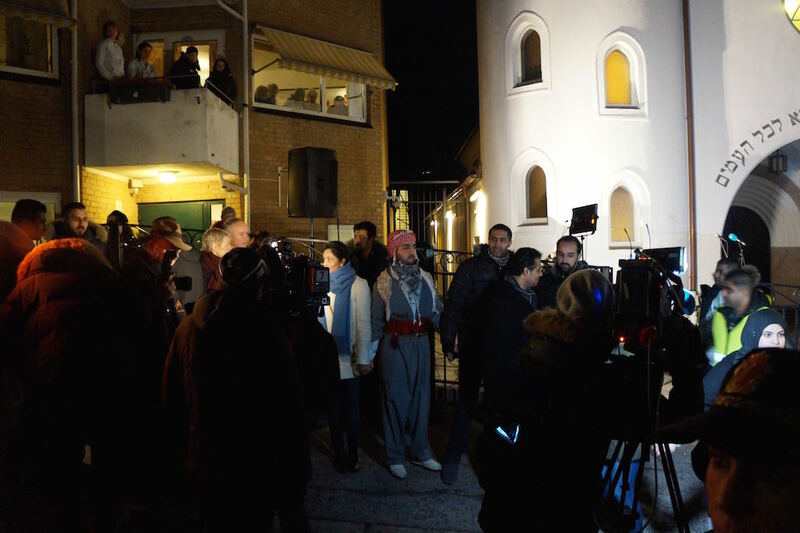 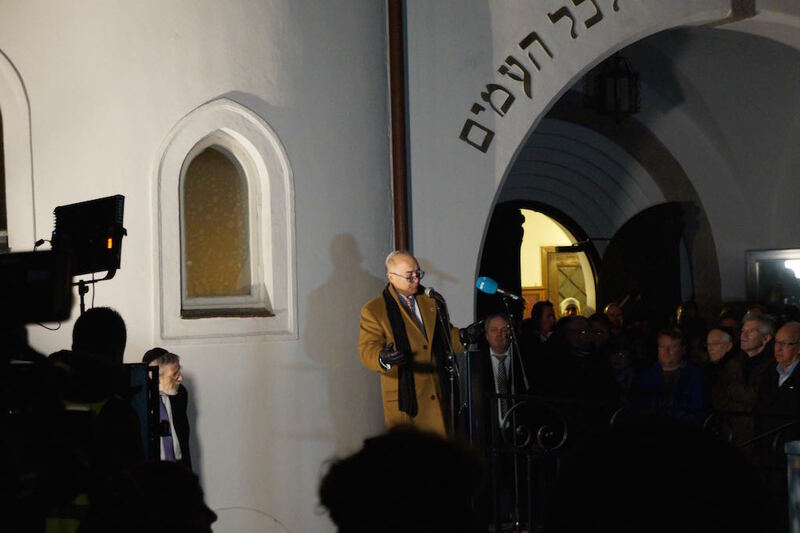 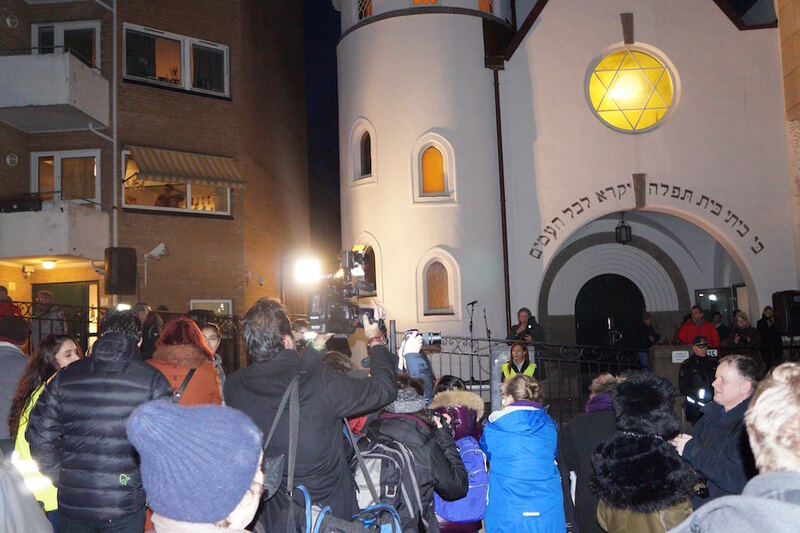 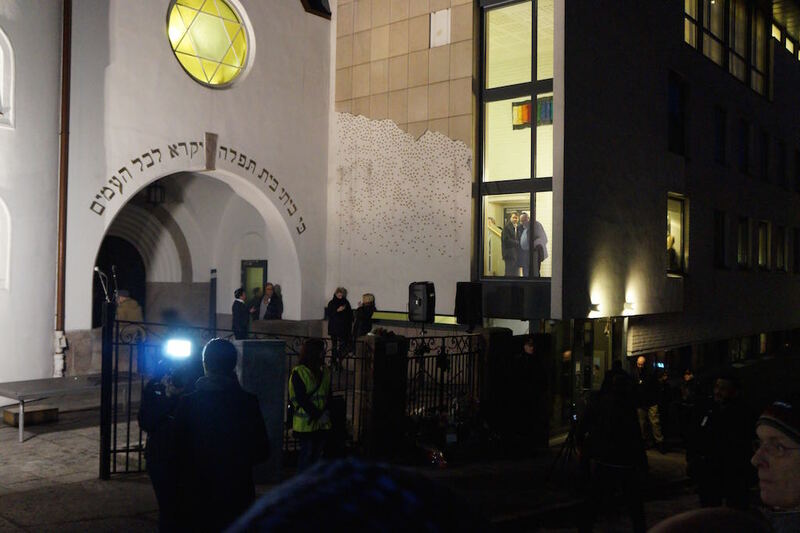 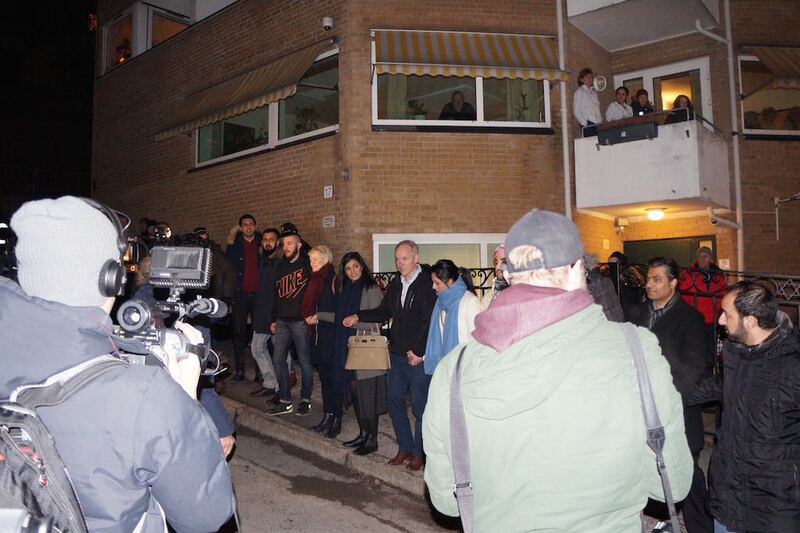 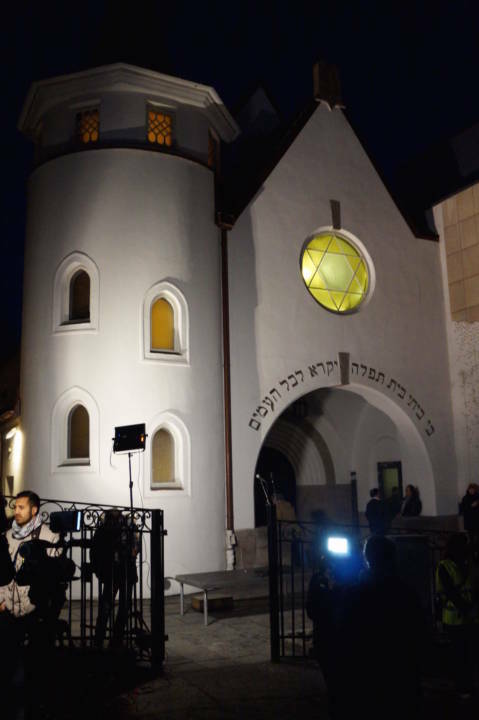 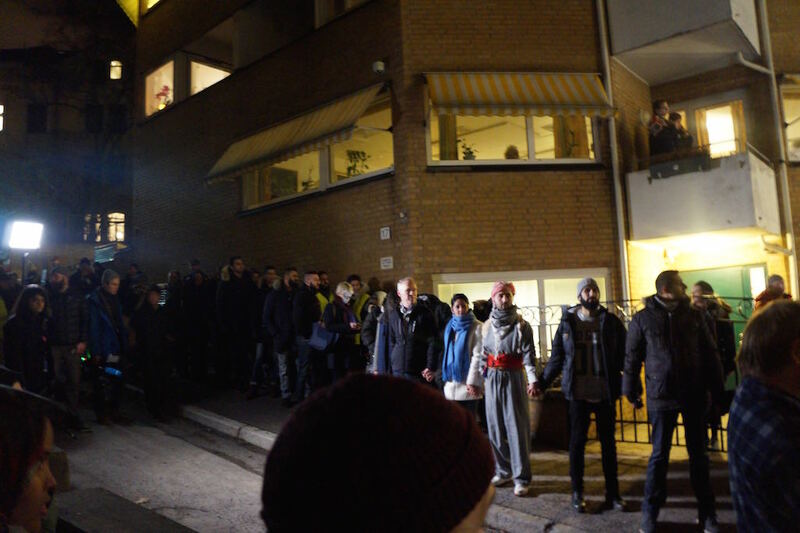 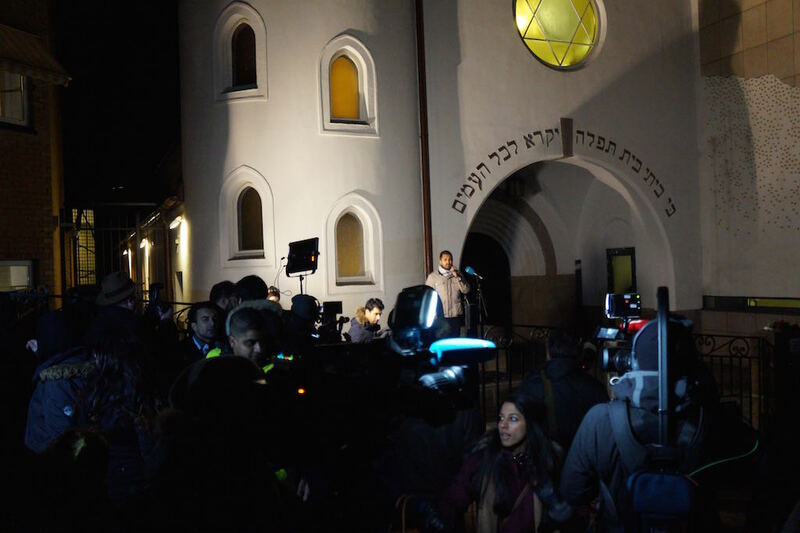 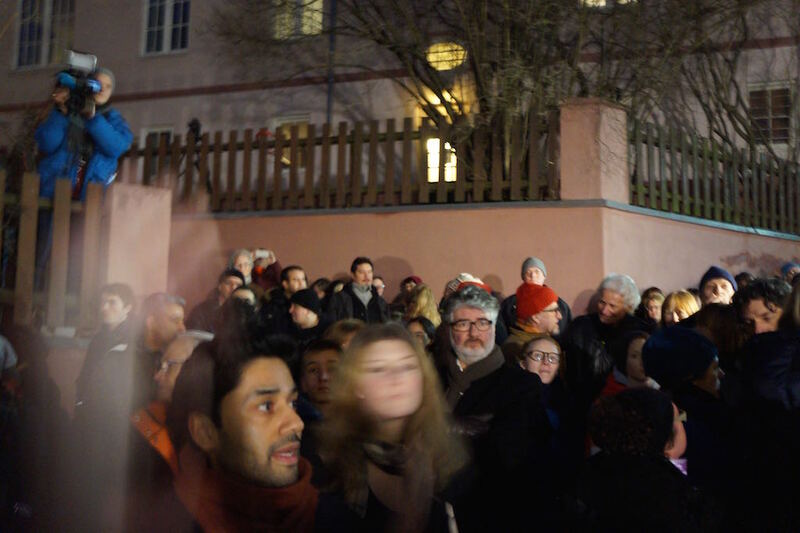 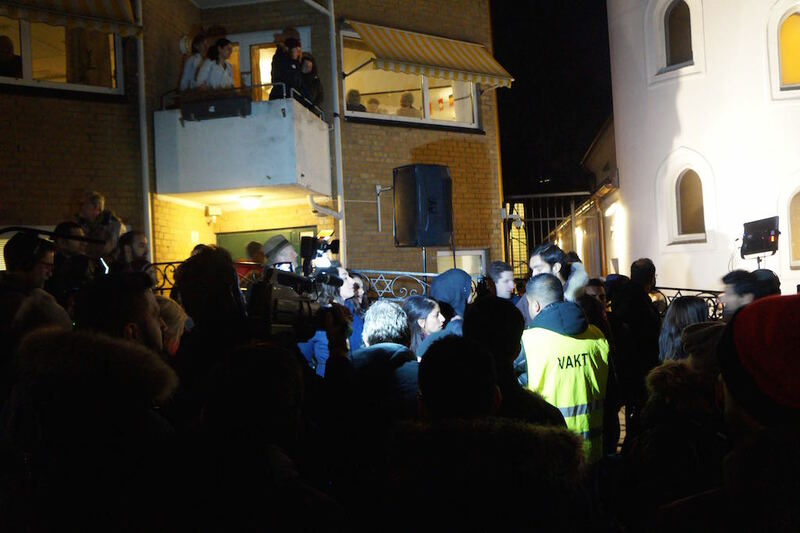 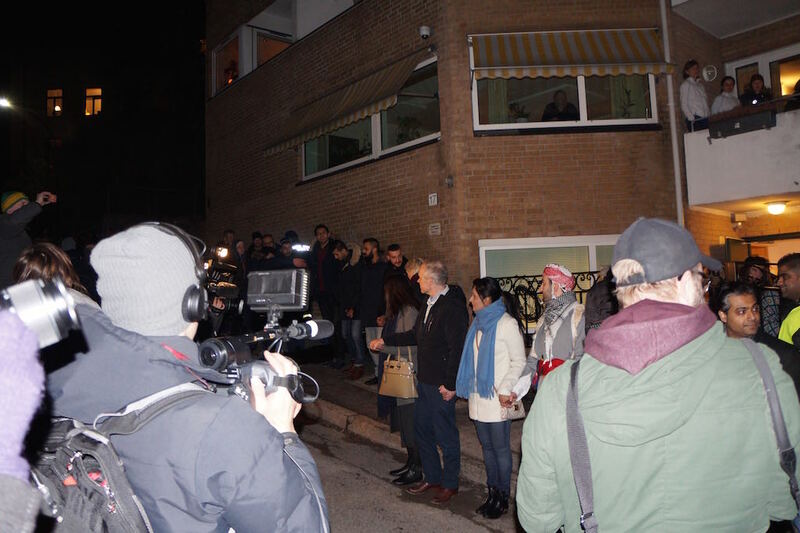 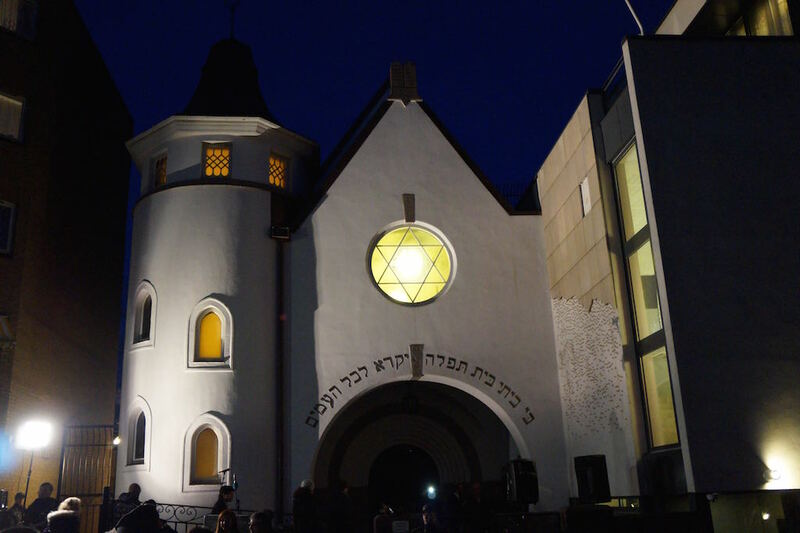 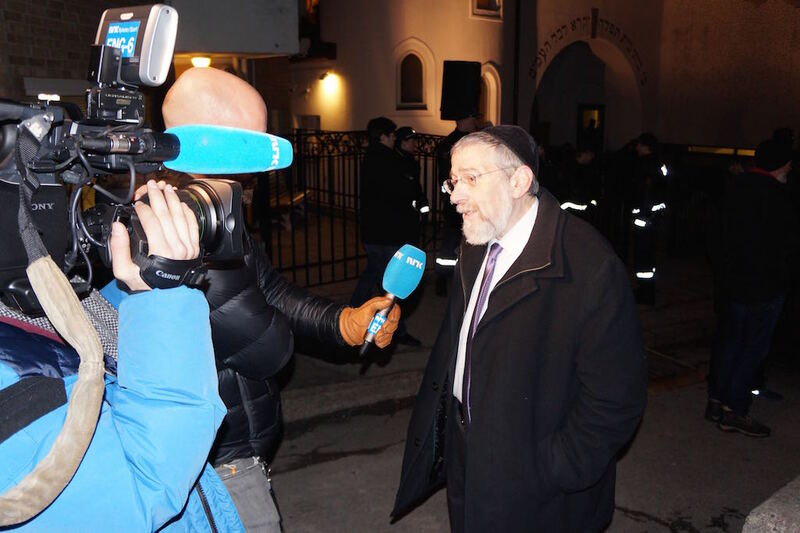 We covered this very important where Muslims in Oslo made a ring around the only synagogue in Oslo. 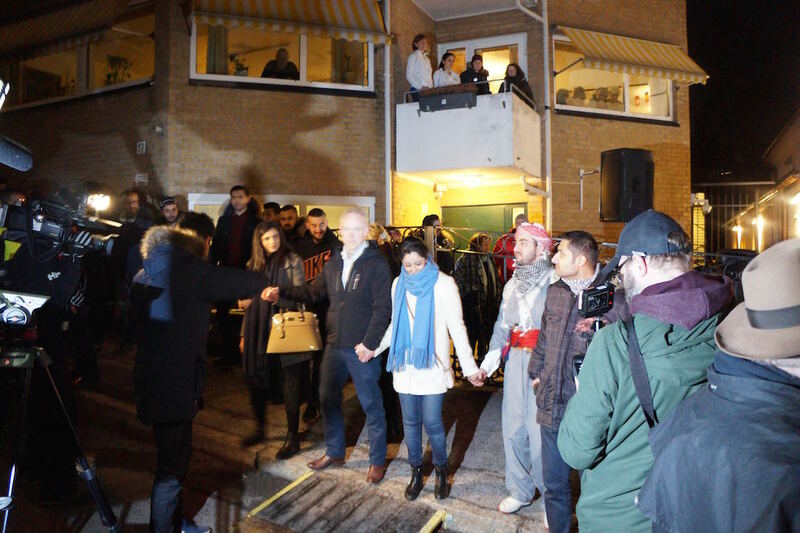 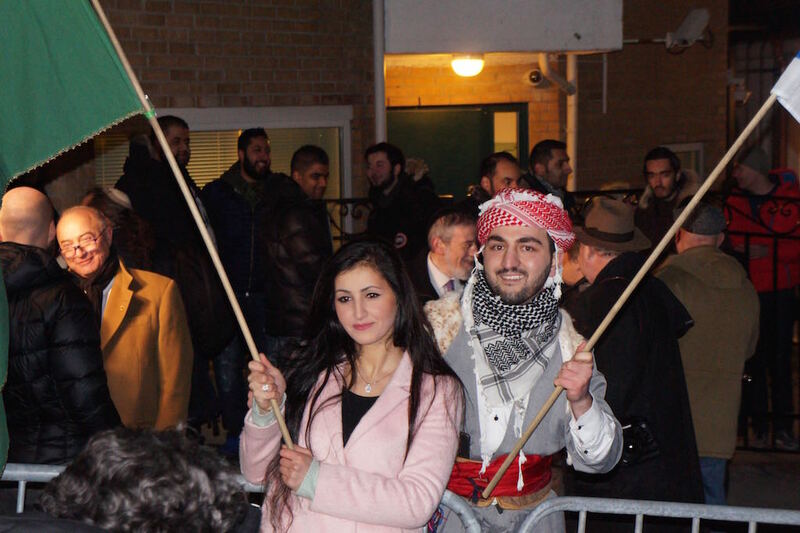 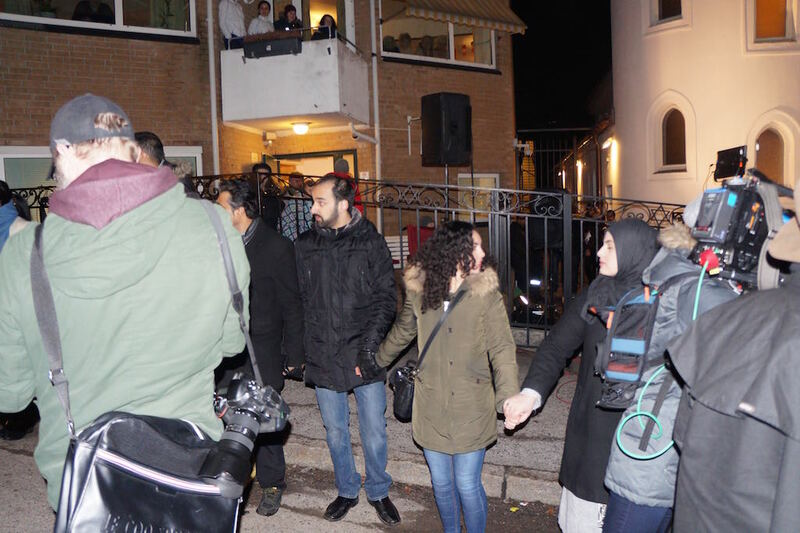 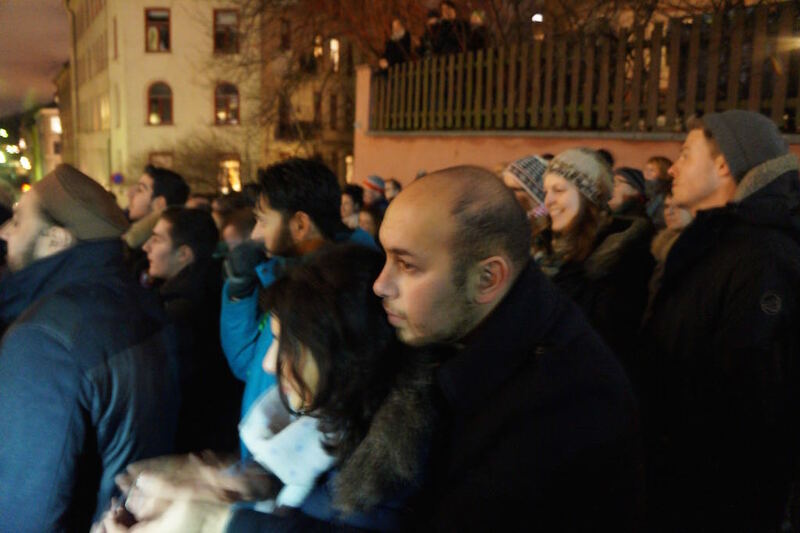 Here young Muslims in Oslo without no communities, have gathered together in a peaceful event. 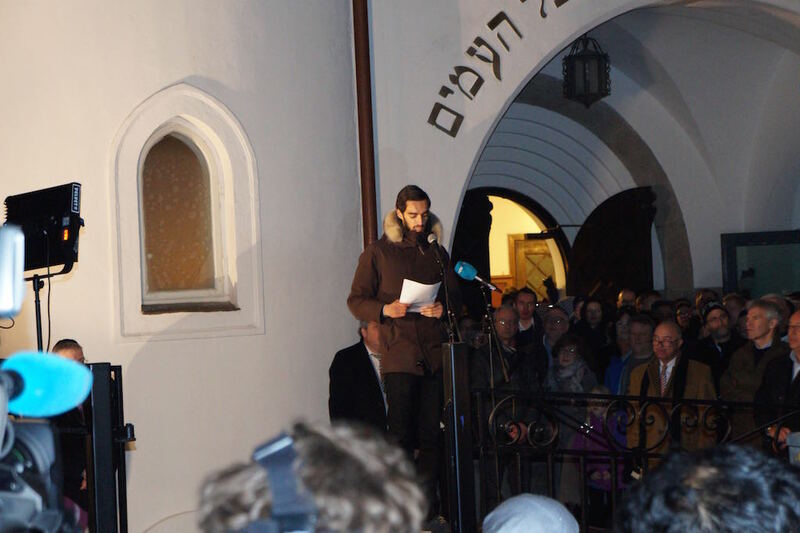 With more events like this, Distrita is sure that people will start to respect other religions and beliefs. 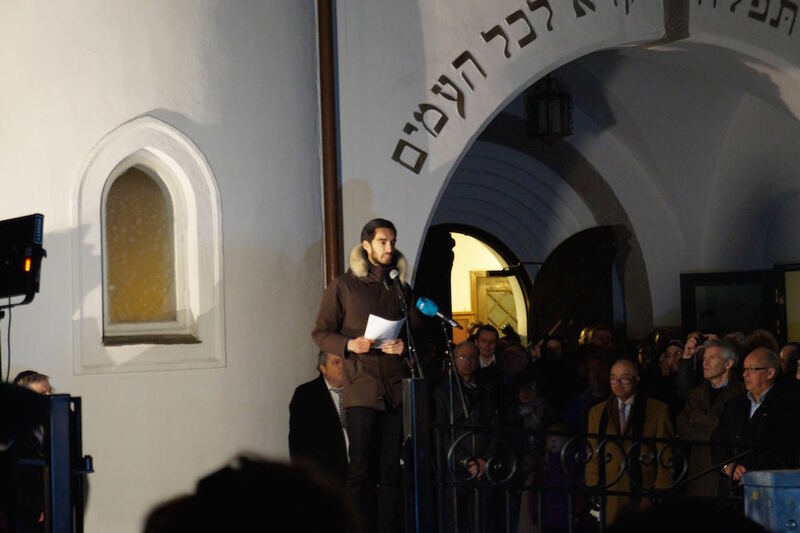 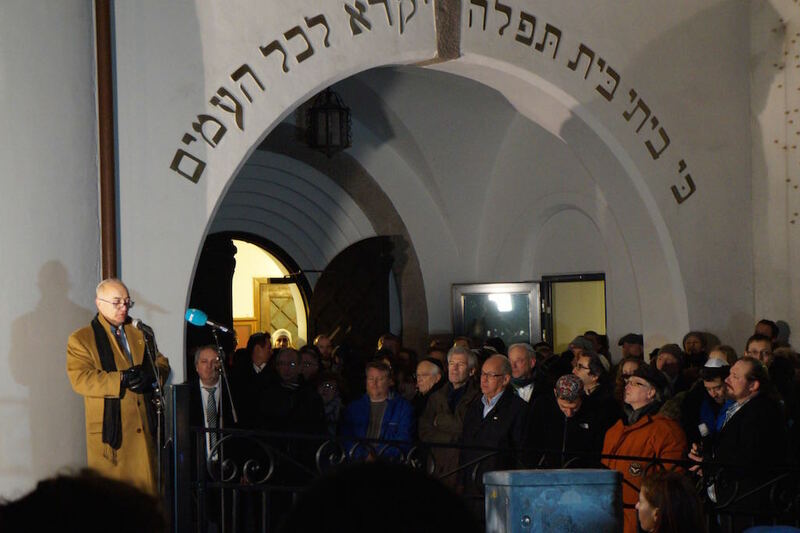 The Muslims had speaches about uniting against extremism and the people from the Jewish synagogue talked also about peace and understanding. 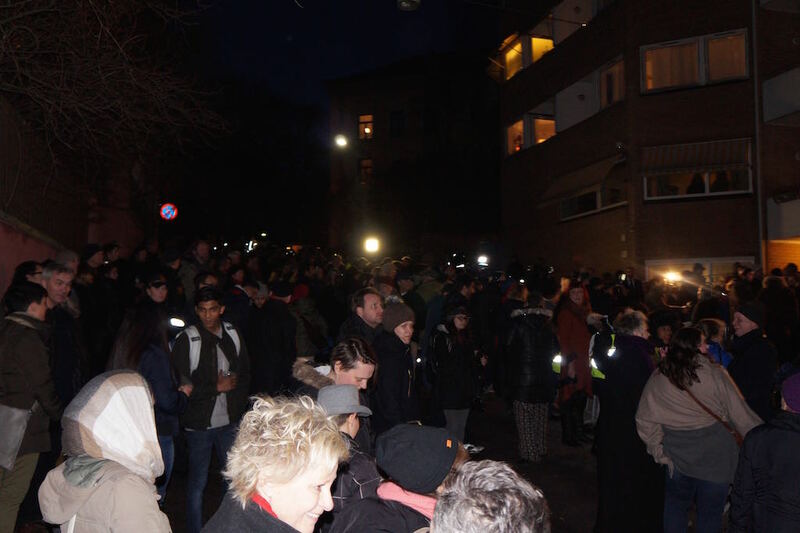 Many came with a hope to this event and many had tears in their eyes when leaving. 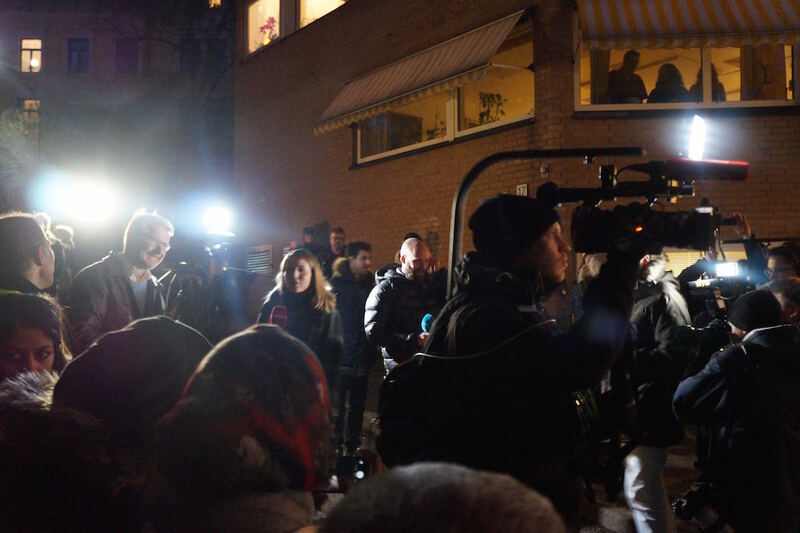 I saw lots of media from everywhere. 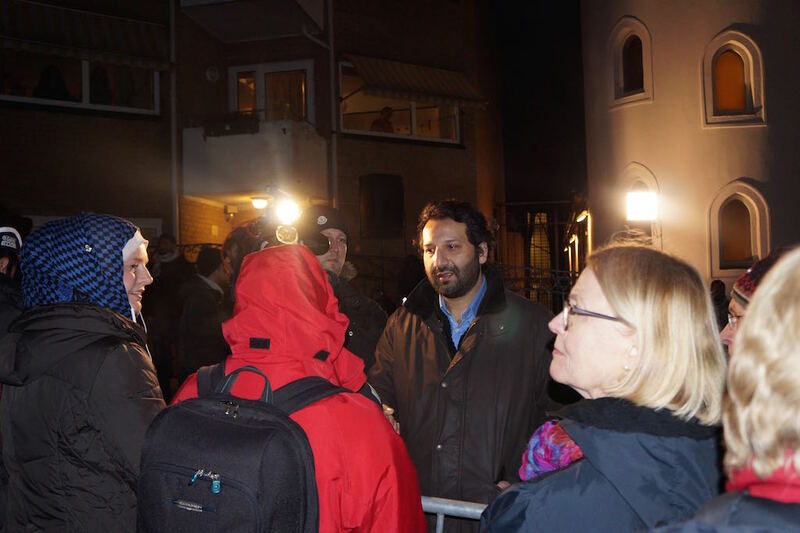 They came in a hurry and some fast with airplane even to cover this event. 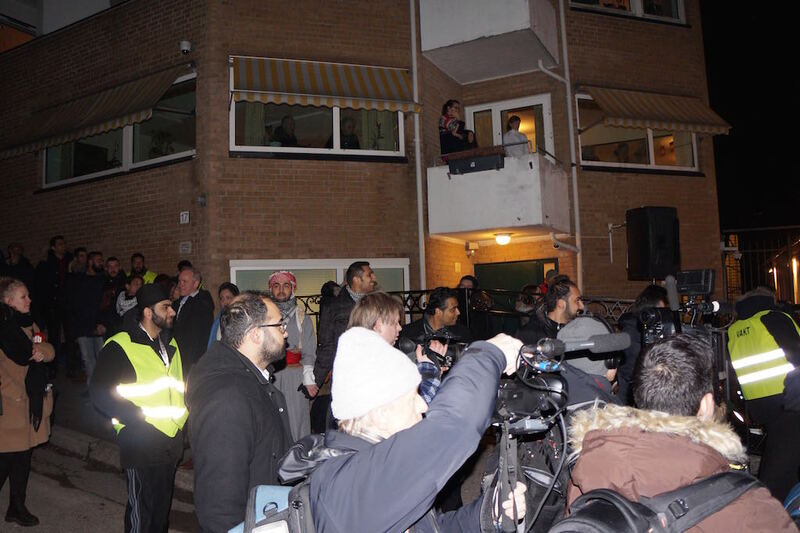 Many came to this event and respected the speakers, while others who interviewed did not respect the speakers which was the only negative thing that I saw. 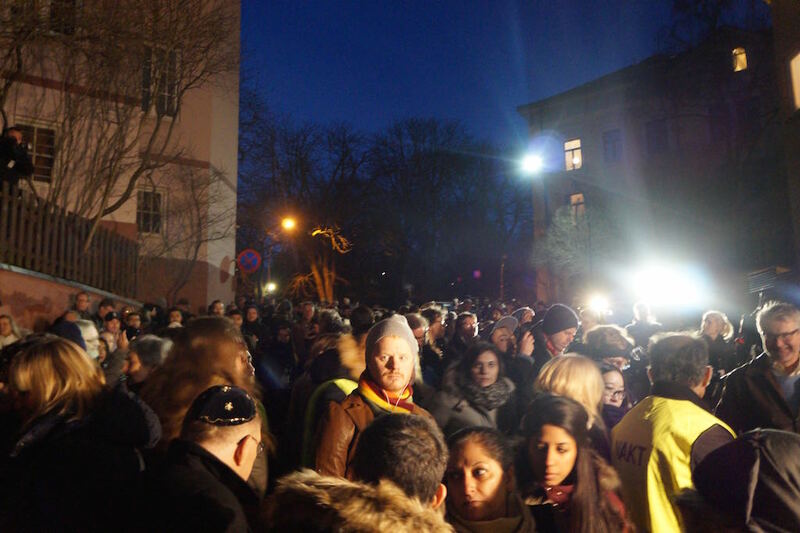 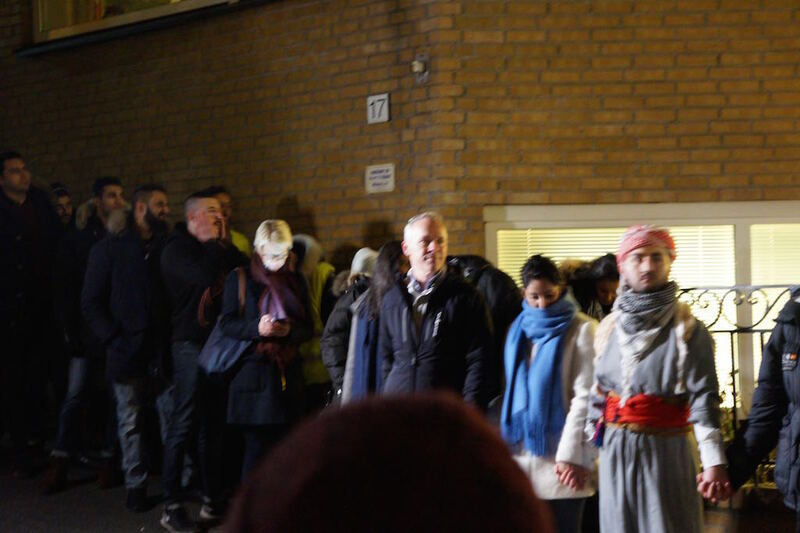 The total number of how many which came is a bit unclear, but sources from the event said that over 1300 people came to this event, while they expected maybe 40 or 50. 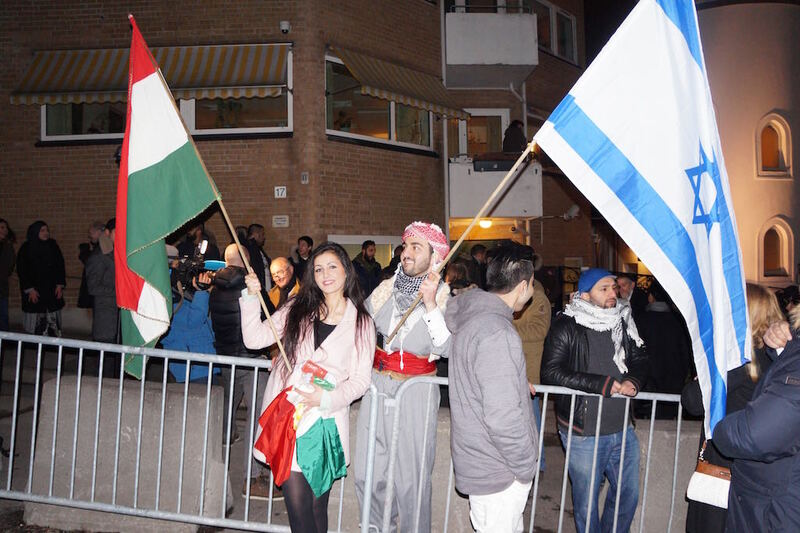 This event was always ment for Muslims to say that they support Jewish community in Norway, and they did it in a very professional way. 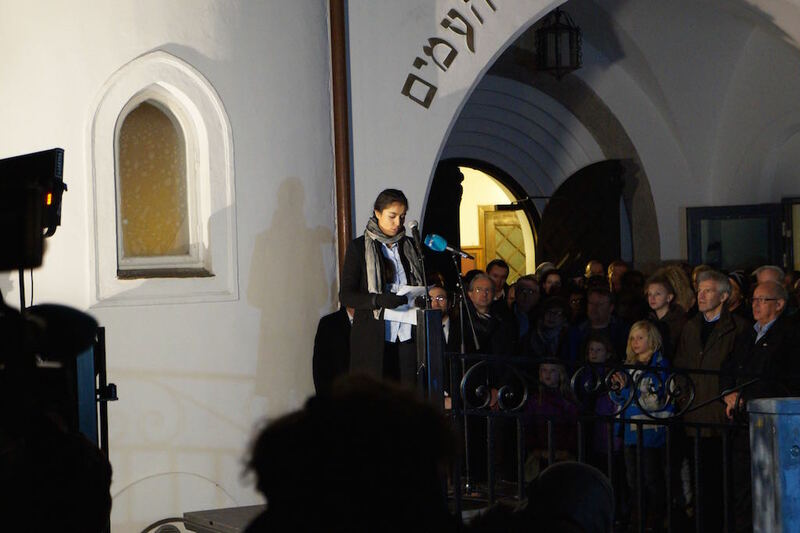 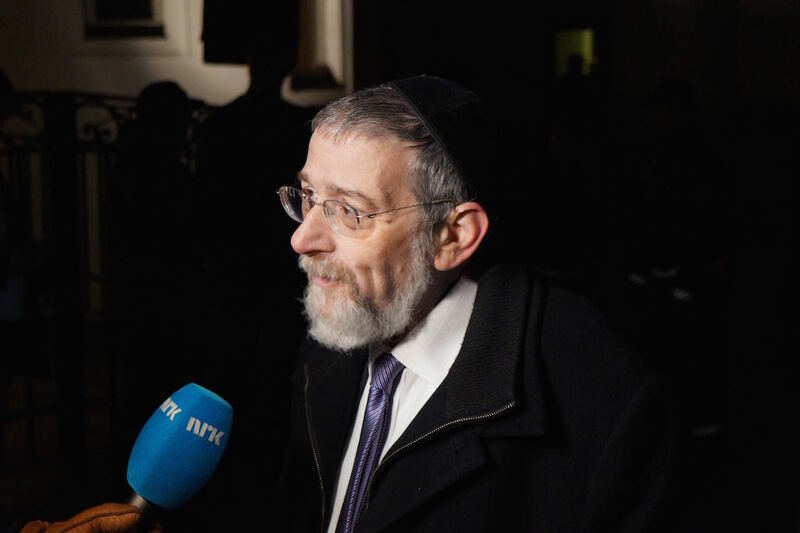 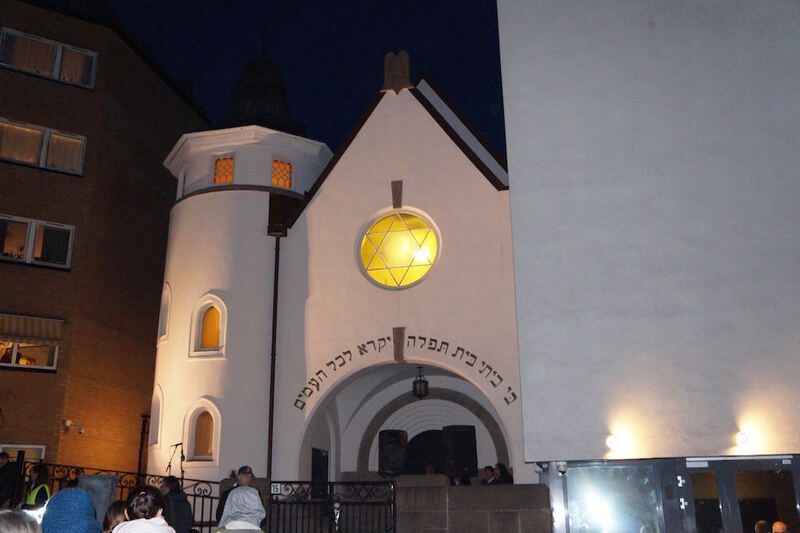 The Jewish community in Norway is only around 1500 people, one of the Jewish speakers said. 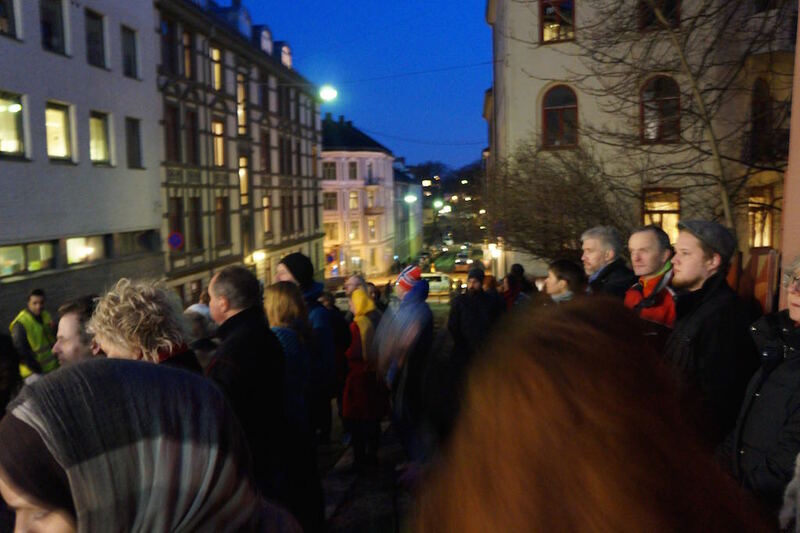 So… All in all. 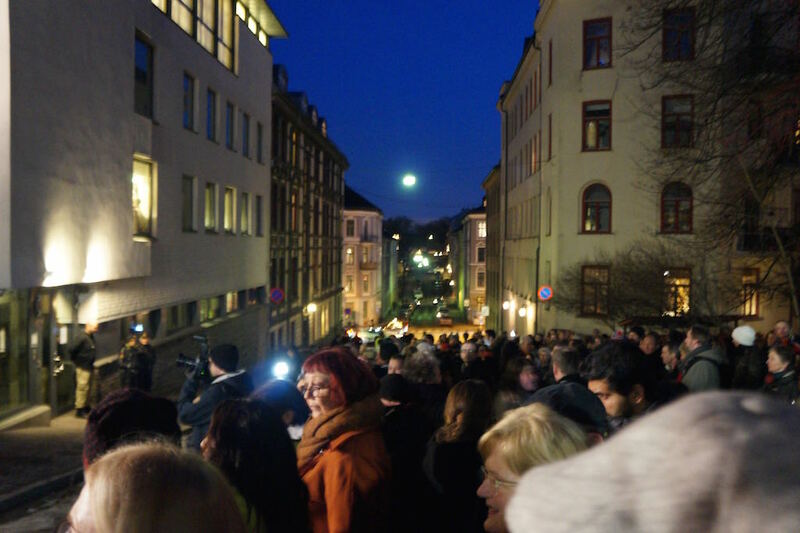 This was a really nice event. 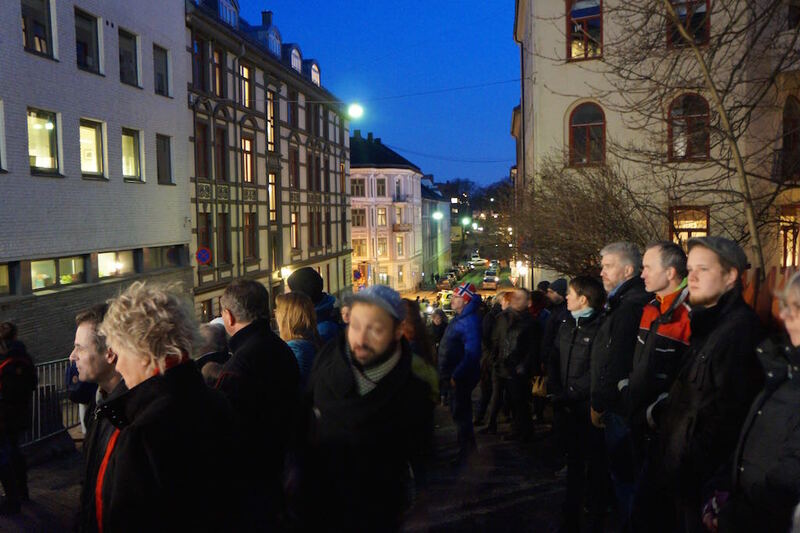 It was really nice to see so many people coming to show that they want peace, stability and respect in Oslo for all kinds of religions. 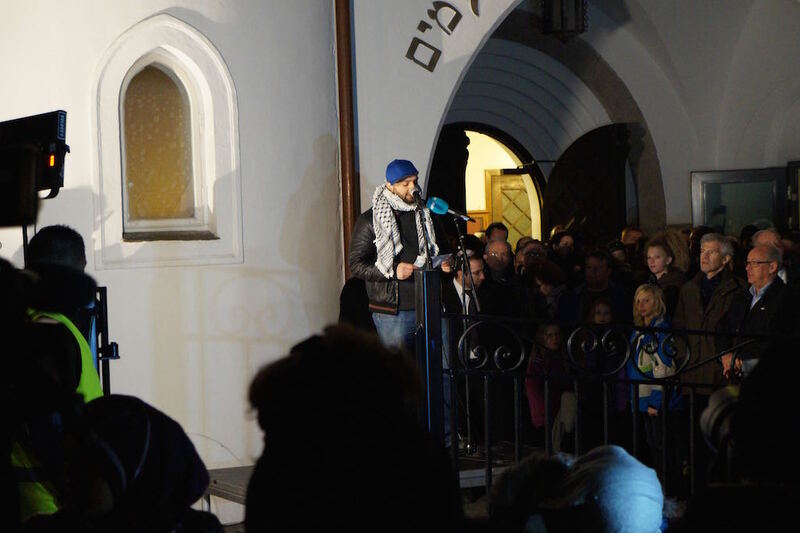 I met Christians, Catholics, Jewish, Muslims and even atheists on this event. 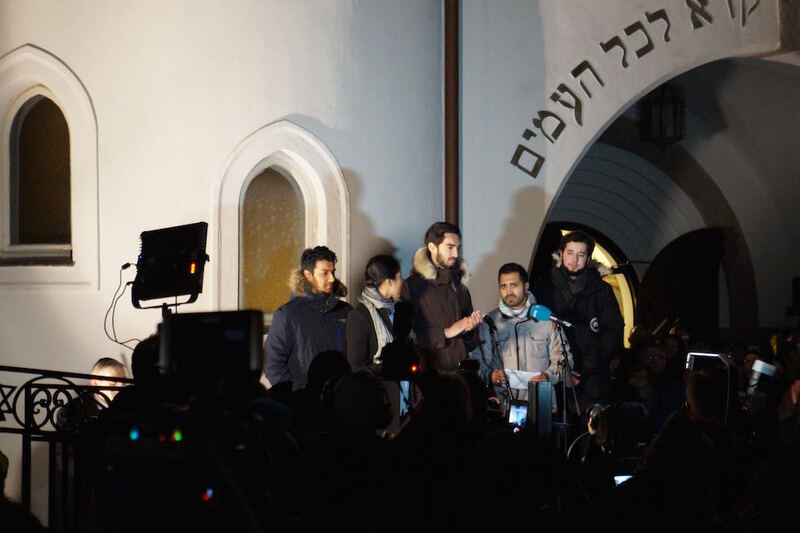 What I loved about this meeting was that young Muslims and Jewish people came together, saying that extremism is something which is not tolerated anywhere in this world. 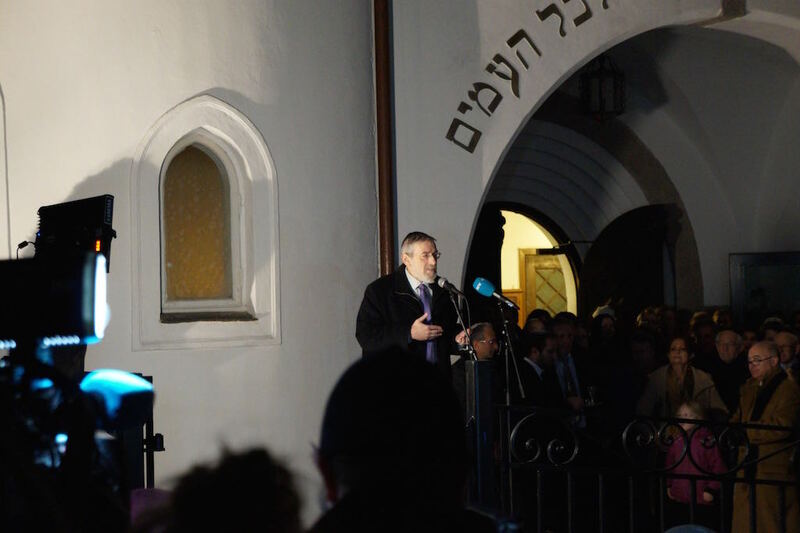 Let the future be less violent was the line from all of the speakers. 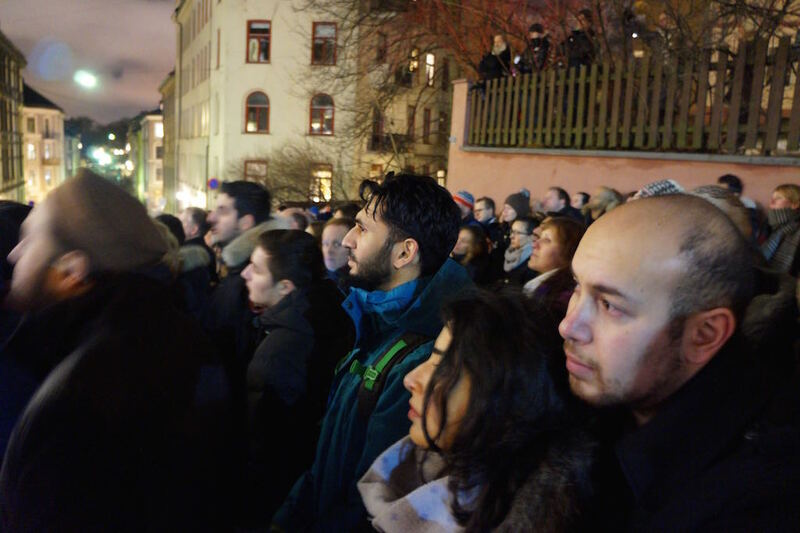 People wants understanding and acceptance, and the only way to do that is to support each others religion. 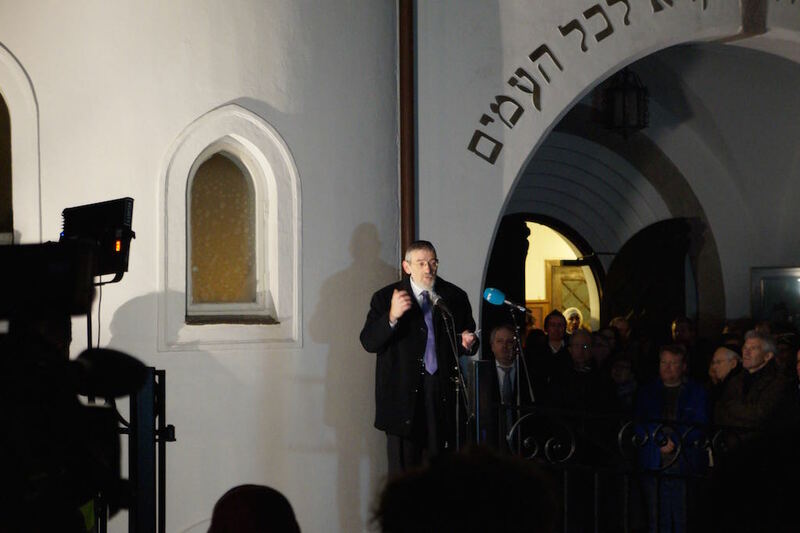 Religious people are peaceful people. 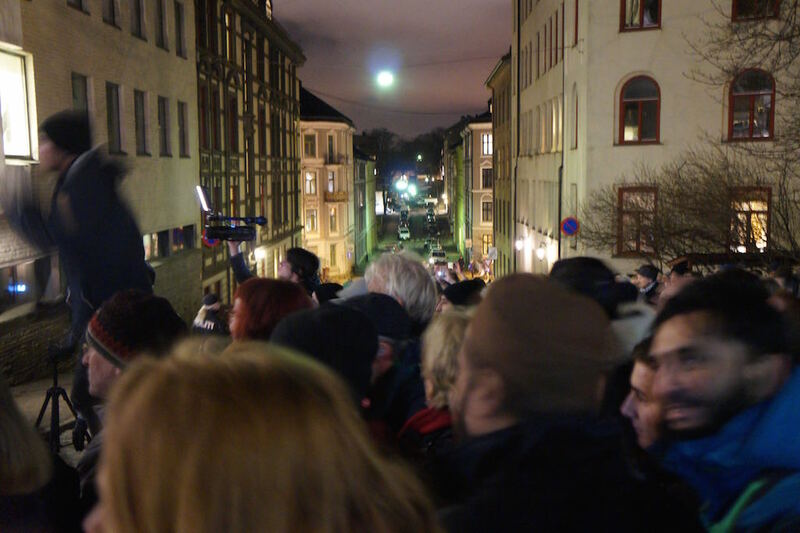 All of the pictures have been taken by Michal Bergseth for Distrita.com. 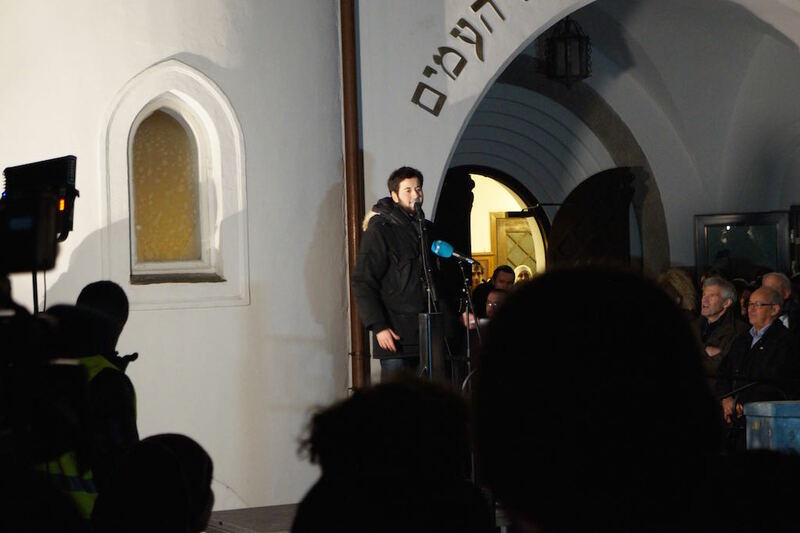 Later Distrita will publish a video from the event also. 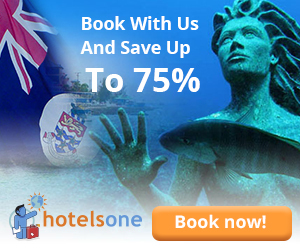 For more detailed news coverage to this news. 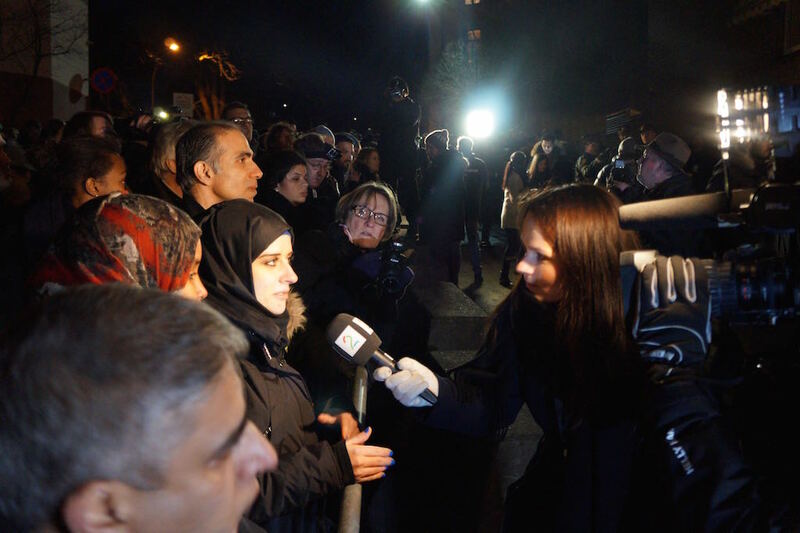 Please follow CNN, BBC or your local news channel or newspaper. 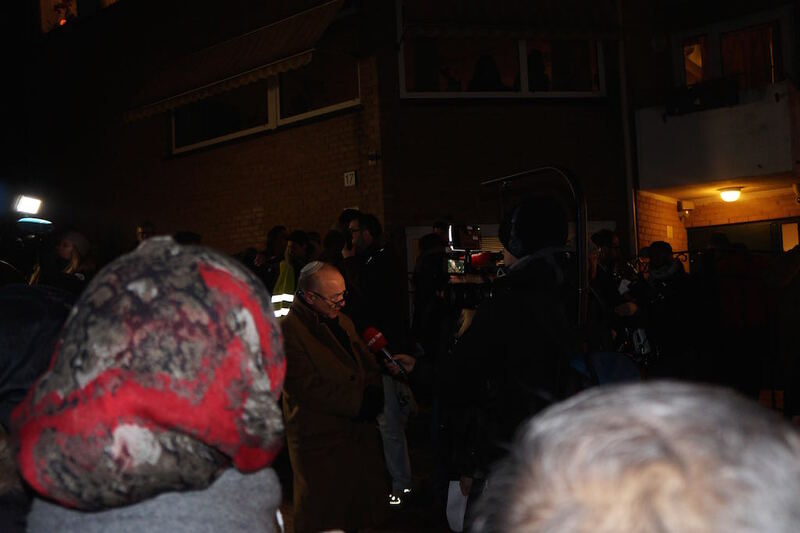 Distrita covers this event so you know its been held.